The Wampanoag, meaning “Easterners” or “People of the First Light”, is an American Indian tribe that boasts of being the original inhabitants of what are now the states of Massachusetts and Rhode Island. 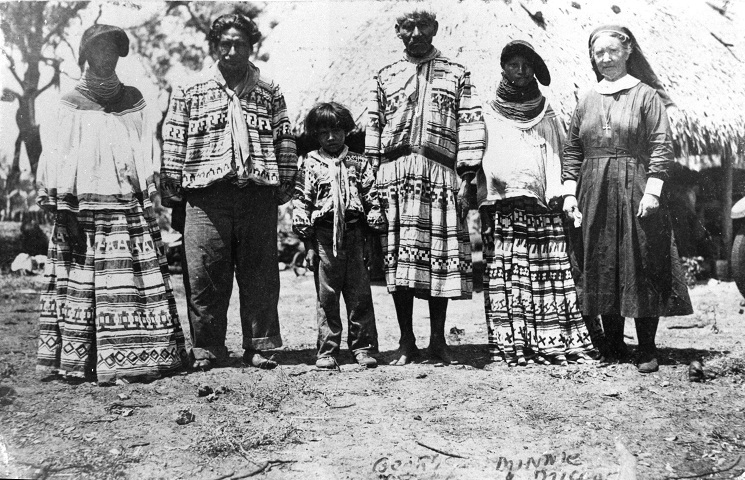 Comprising of three primary groups, Mashpee, Aquinnah and Manomet, they pronounce their name as either wamp a No ag or WAMP ah nog, and prefer to be called the Native People. The Wampanoag Indians are also called by the names “Wapenock,” “Massasoit,” and “Phillips Indian’s.” In fact, the word “Wapenock” was first seen on the Dutch navigator, Adrian Block’s map of 1614. 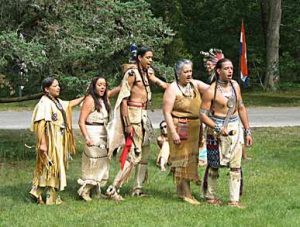 Initially, the tribe spoke their native Wampanoag language (also known as Massachusetts, Pokanoket, or Natick), which is an Anglokian language, but now most use English. 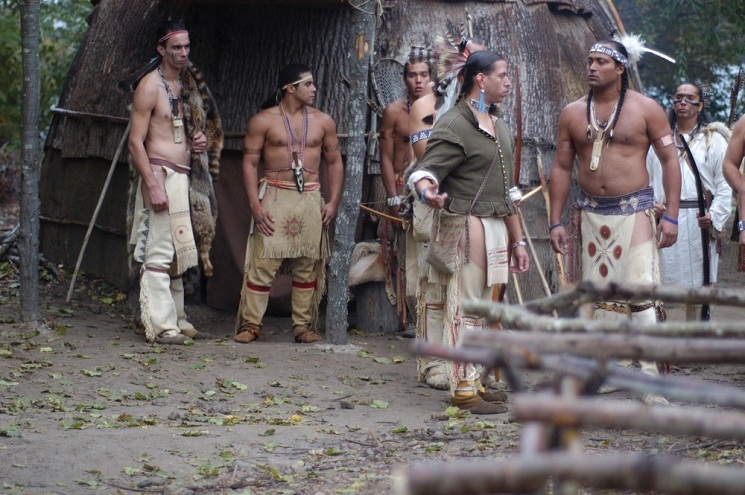 Earlier, the tribe comprising of nearly 40,000 people lived in the 67 villages that formed the Wampanoag Nation. In 1620, upon the arrival of the Pilgrims into their territory, the tribe befriended them, with their chief, Massoit making a peace treaty that was maintained all his life. However, after the death of Massoit, deterioration of relationship (due to the conversion of the Indians by the English) compelled his son, Metacom, also referred to by the English as King Philip, to wage war against them. In this war, King Philip was defeated by the colonists, most of the Wampanoag’s were killed and amidst the survivors, those who fled to the island of Nantucket had to face the onslaught of disease and epidemics. 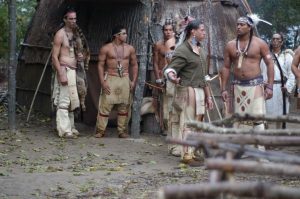 But the tribe survived and today about 4000 to 5000 Wampanoag Indians dwell in New England. 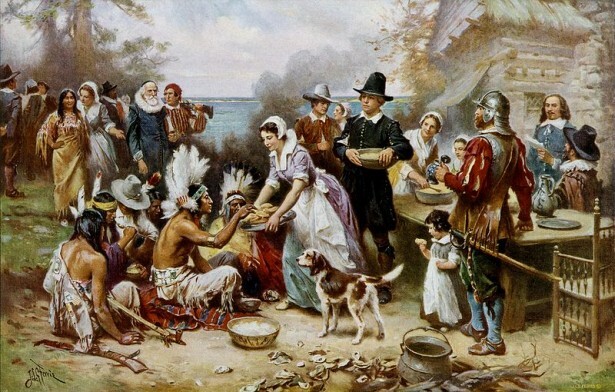 After the Pilgrims had settled in an area called Patuxet (near moder-day Plymouth), they were supported by a Wampanoag called Squanto in planting corn and gathering berries. In September/October 1621, the good yield of the first harvest prompted the Pilgrims to celebrate a feast with the Indians, thus the first Thanksgiving Day was observed. It is important to note that though at present, Plymouth’s top attraction is Plimoth Plantation (a museum that manifests the details of the Thanksgiving Day as well as other ancient artifacts), the day is typically treated by the tribal people as one of mourning, following their long-standing grievances with the Pilgrims. The United States government set up a reservation for the Wampanoag on Martha’s Vineyard, and the two federally recognized tribes in which many of the members were enrolled were the Mashpee Wampanoag Tribe, and the Wampanoag Tribe of Gay Head. 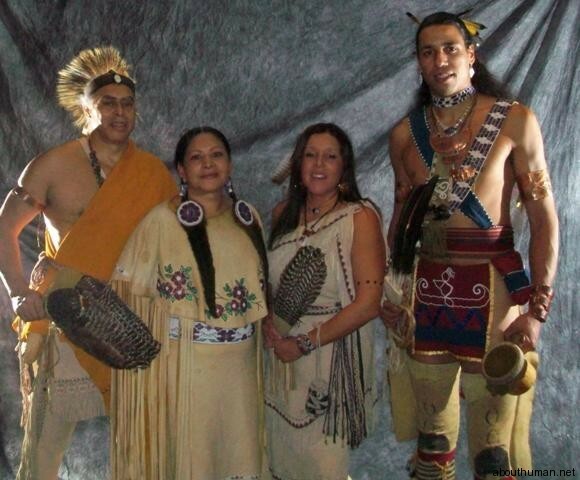 In 1972, both the Wampanoag Tribal Council of Gay Head and the Mashpee Wampanoag Tribal Council were set up. After receiving the designation of a federally recognized tribe, the Mashpee Wampanoag raised its flag for the very first time on January 11, 2016. At present, the Mashpee consists of more than 1400 enrolled members and the Tribe of Gay Head consists of 1121 members. 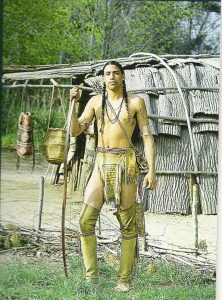 Since forests occupied a major portion of the Wampanoag lands, their culture banked upon the environment they lived in. They used trees to build dugout canoes, homes, and other necessities. The men went for hunting or fishing and occasionally involved in wars to protect their families (their enemies being the Mohawks or the Iroquois Indians). 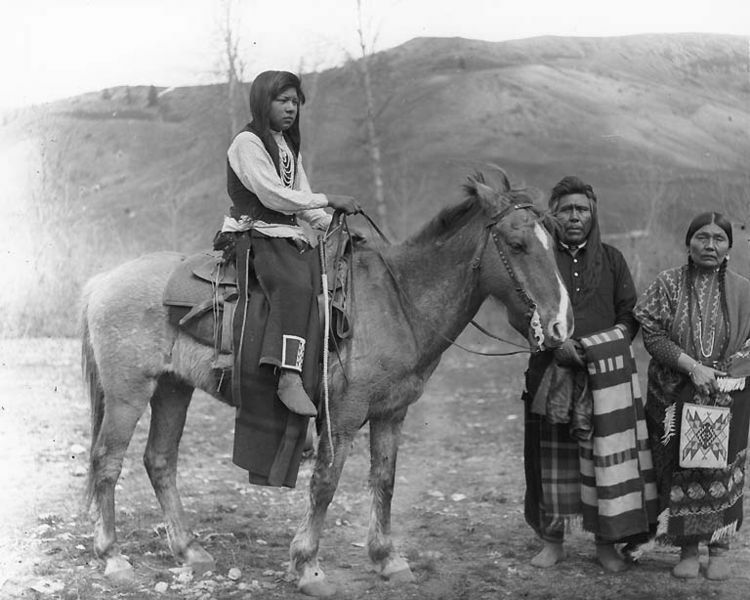 Women, apart from household duties, took an active part in agriculture and gathering of shellfish, berries, and nuts. Storytelling, medicine, artwork, and music formed the other important hobbies they enjoyed. The men wore long breechcloths with leggings and in winter, wrapped themselves under mantles made of deerskin in winter. Women, on the other hand, put on wraparound skirts, cloaks, and tunics. 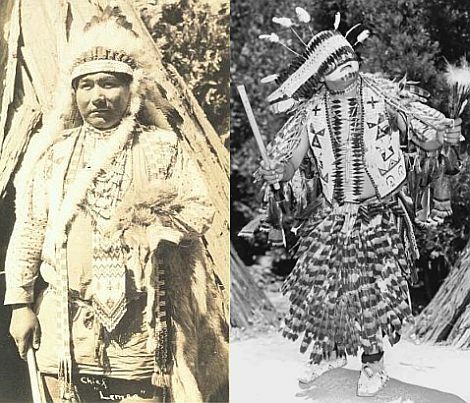 They also wore greased moccasins (to ensure waterproofing) on their feet and beaded headbands furnished with one or two feathers. Their jewelry consisted of bracelets and necklaces made from “white shell bead.” A headdress of feathers used to be worn by Wampanoag chiefs. Today, most wear modern dresses like jeans, decorating their hair with feathers only during special ceremonies. 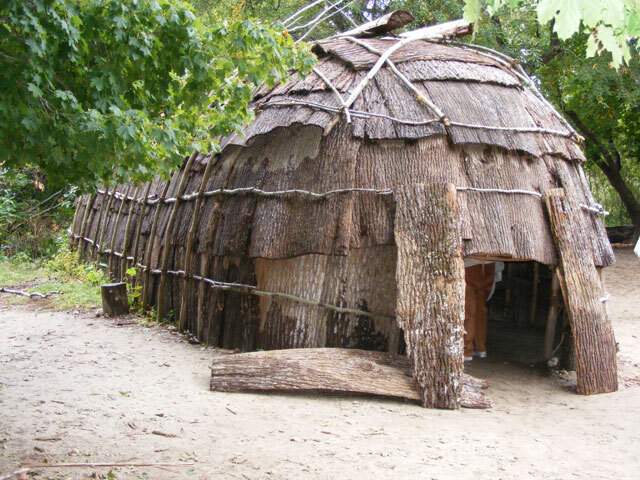 The Wampanoag people constructed temporary shelters called “wetus” or “wigwams” (meaning houses in Wampanoag language) to live in summer and longhouses to reside in winter. In recent times, most of the Indians live in modern houses and wigwams are built only for fun or in remembrance of their heritage. 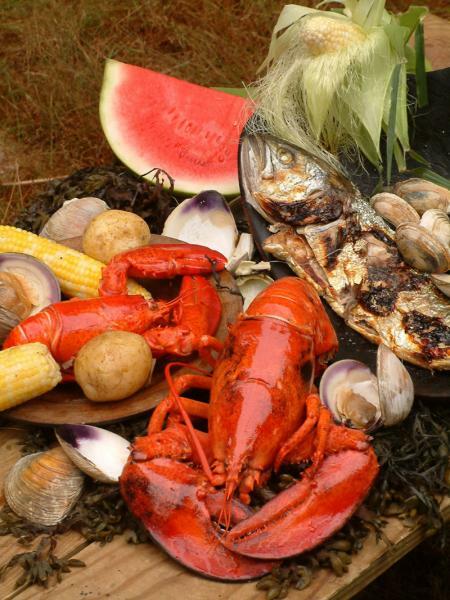 Wampanoag Indians derived a significant portion of their food from harvesting beans, corn, and squash. Their diet also consisted of the meat of deer, black bear, grouse, squirrel, duck, etc. Fishes such as haddock, cod, flounder, mackerel, salmon and shellfish like oysters, clams, lobsters and scallops were also consumed. Among the traditional recipes, soups, cornbread, and stews were popular. The Wampanoag warriors and hunters used wooden clubs, hammers, arrowheads, knives, spears and axes while the fishermen employed bone hooks and nets. These tribal people were skilled artisans, a fact justified by their exquisite beadwork, wood carvings, basket weaving, and pottery. In fact, the wampum beads that they crafted out of white and purple shell beads bore poignant designs and pictures, narrating a story or representing a person’s family, thereby carrying invaluable cultural value. Facial paintings as well as body decorations with tribal tattoos further manifest their mastery in art. Dugout canoes were used for traveling across oceans or fishing expeditions while dogs as pack animals were used on land. Today, many use cars as means of transport. 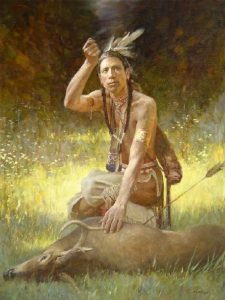 The Wampanoag tribe believed in spiritualism and thanked Mother Earth, along with all other living beings, for the benefits they enjoyed, like sunshine and food. For instance, Kehtannit (the tribe’s name for the Creator, God) was a divine spirit in Wampanoag folklore. Strongly believing in an afterlife, the Wampanoag buried their dead along with his belongings, with the burial rites being presided over by the Medicine Man. During this celebration of the Mashpee Wampanoag people, Native Americans from various New England tribes come together to enjoy through music, dance, and food. The Wampanoag tribe was united together to form a confederacy. Their chief leader, a Sachem, had the responsibility of looking after the welfare of the people. At present, these Indians have their own government, police, laws and other relevant services. Wampanoag Country Club: Established in 1924 and renovated several times, this club has traditionally been a golfer’s club, hosting about 20 major championships. The 18 golf holes were designed by golf course designer Donald Ross. Wampanoag Road Runners: The running club established in 1984, comprising of more than 200 runners, is known for organizing different types of races. Wampanoag Environmental Laboratory: This laboratory, built by the Natural Resource Department of the tribe helps to deal with various environmental issues and threats. Education Department of Wampanoag Tribe of Gay Head: The Wampanoag Higher Education Grant Program has been set up to ensure that all aspiring tribal members get a chance of higher education. Mashpee Wampanoag Casino: The Mashpee Wampanoag tribe’s plan to build a casino was given a green signal in November 2011, with the Massachusetts legislature giving license to about three sites for casino resorts. It is hoped that the resorts would be a good source of economy for the tribe.